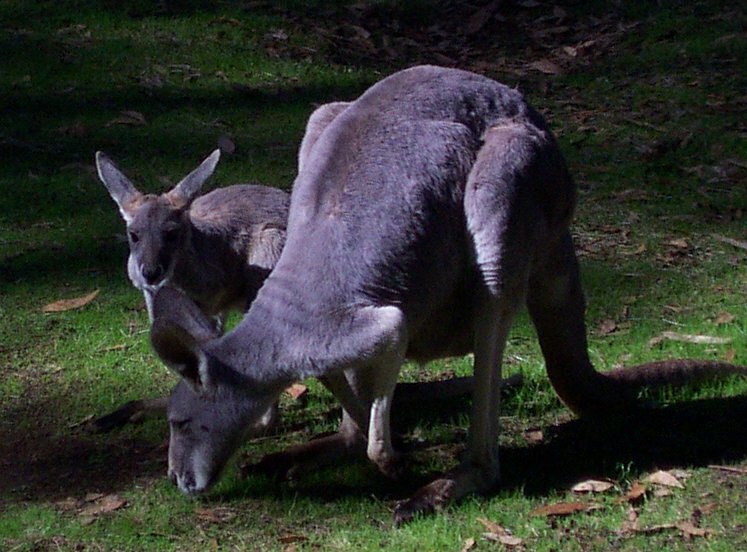 A grey kangaroo and her joey at Cleland Wildlife Park. As we approached more closely the joey tried to get back into its mother's pouch, unfortunately the picture of this was out of focus. 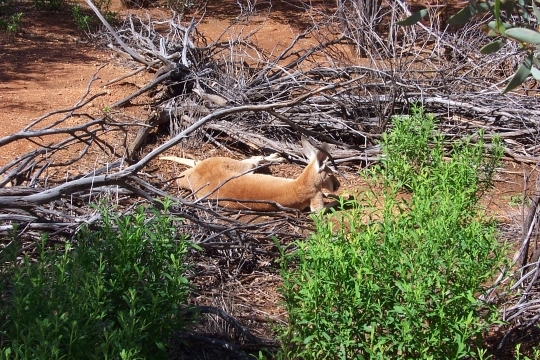 A red kangaroo rests during a suddenly warm afternoon at Alice Springs Desert Park. 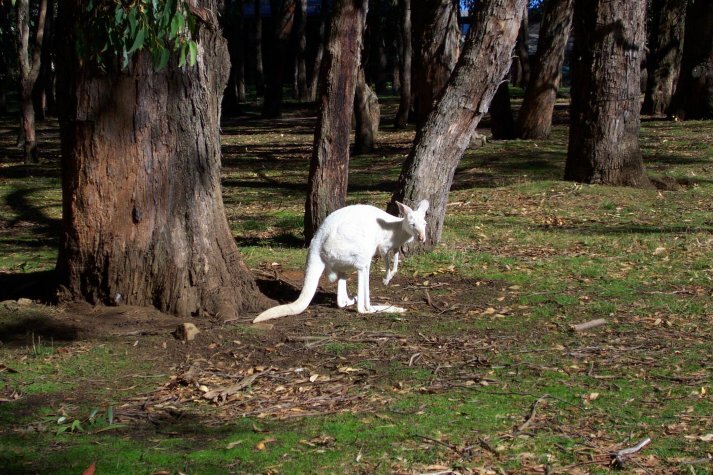 This habitat included kangaroos and emus, few were active. 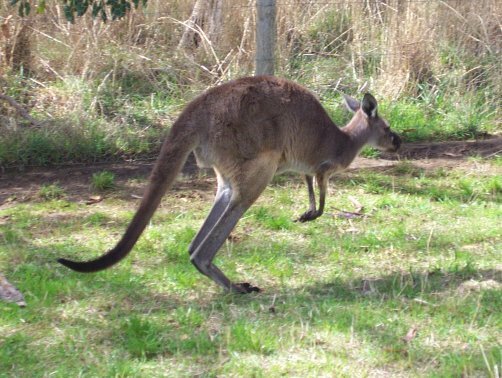 A kangaroo in action at Cleland.